Women have been forced to bear the brunt of the economic hardships affecting the country by turning to vending. As a result government’s intentions to remove vendors from the streets have left women most vulnerable. Traditionally vending was reserved for women particularly those who sold vegetables and fruits but biting economic times have also seen men joining into the trade. The fierce competition means there is serious jostling for space in the city centre and women often find themselves being displaced. A visit at some of the designated areas for vending revealed that most of the stalls are owned by males who lease these to women. Women are left with the burden to pay bills especially elderly women who have been left with grandchildren to look after. Some households are being headed by young girls who have turned to vending because they have not aquired enough skills to find formal employment. 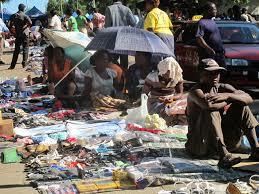 Vendors have urged the authorities to consider the plight of these women in the allocation of spaces.